A member of the Harbro Group, Harbro Ltd provides innovative high quality livestock solutions, focused on improving animal performance and its customers’ profitability. Privately-owned, the business trades throughout the UK and has developed an increasingly strong export market through its international division. With a manufacturing capacity of 280,000 tonnes from sites based in Scotland, the business produces high quality livestock feeds for beef, sheep, dairy, pig and poultry. 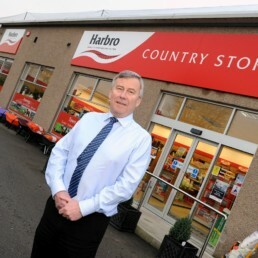 In addition, Harbro Ltd also has a network of 19 retail country stores throughout Scotland from the Borders to Shetland supplying both the farming and wider rural community with animal health products, farming supplies, equestrian and pet food and accessories. 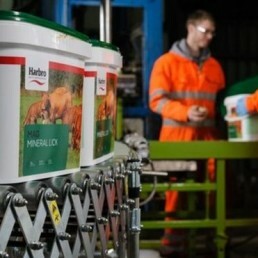 The Harbro Group also includes Strathclyde Nutrition Ltd, which contract manufactures animal feed buckets and blocks; and Transpan (Scotland) Ltd.
Up until 2010 Harbro was using a semi-mainframe enterprise system to help run its business. System 21 had been in place for over 20 years. To supplement this, they were using additional databases with web front ends and spreadsheets. This way of working caused a number of issues and the system was proving expensive in terms of annual maintenance costs. Furthermore, it was not delivering the reporting and the data they required to inform their decision making and effectively run the business. Due to its age, the number of add-ons that had been developed over time and various infrastructure issues, it was not an option to purely upgrade the existing system. 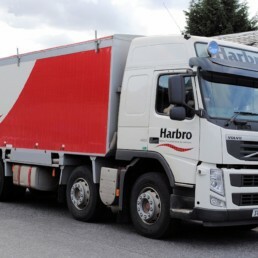 Harbro needed something new that was flexible to meet the needs of an ever evolving business and capable of dealing with the large number of growing transitions. Harbro considered several ERP solutions before narrowing their search to Dynamics AX. They also evaluated different Dynamics AX partners with experience and modules in food manufacturing as they had a number of requirements, including complex pricing of packaged products, which they thought would be hard to meet out of the box. In parallel, Incremental Group invested time and the right local people to collaborate with Harbro in order to truly understanding their issues and requirements. Incremental Group thought creatively about how to use standard features of AX, not originally designed to manage animal feed, to deliver a smart solution. Incremental set up a demo, using Harbro data, to demonstrate how their specific requirements could be accommodated in Dynamics AX without the need for any add on modules. Addressing all requirements leveraging standard AX functionality would be more cost effective than having to purchase additional modules and meant that they were not tied in to the provider. Harbro subsequently selected Dynamics AX as their new ERP system and Incremental Group as their delivery partner for design, implementation and support. The new system has transformed working right across Harbro and them become a more efficient, informed and flexible organisation. Basic tasks like the completion of monthly accounts used to take 2 weeks to complete. These are now closed off in 2 days meaning the time can be better put to more valuable use. Harbro has to make complex changes to pricing every month, and when markets are volatile, even more frequently. This previously labour intensive process which used to take several days is now automated to complete in a few minutes. The new stock control capabilities and integrated store planning inform manufacturing – Harbro now know exactly how much they need to be producing to meet their orders. Consequently, the volume of feed and medicines that goes to waste has been slashed. Furthermore, the business is no longer under producing during peak periods, resulting in additional sales. Harbro now has an established standard model in which to easily and quickly integrate acquisitions, regardless of size or international location. In addition to rolling the system out to recently acquired stores, Harbro is in the process of integrating all counter sales and manufacturing. This year Harbro started to expand its operations internationally, with the acquisition of a distribution company in Italy. Dynamics AX is fully geared up this with its country specific capabilities for managing localised requirements including tax and banking rules. The system is in the process of being rolled out to the Italian operation. Harbro is also currently evaluating moving into China to expand its manufacturing operations.